2015 Grady-White 336 Canyon COMING SOON!!!! 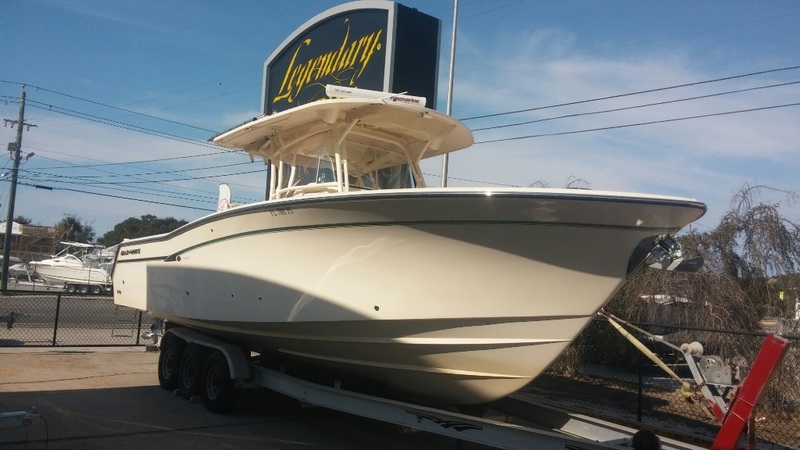 SUPER CLEAN 2015 GRADY WHITE 336 CANYON 2 X YAMAHA F300'S W/ YAMAHA FACTORY WARRANTY UNTIL 2021!!! CONTACT US TODAY TO GET ON THE LIST FOR THIS ONE! 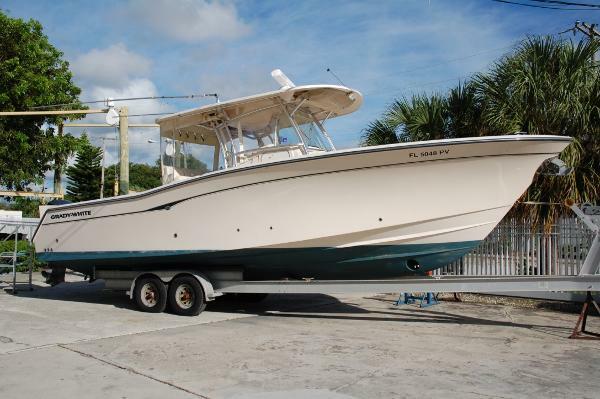 2012 Grady White 336 Canyon center console Cleanest 2012 Grady White 336 Canyon on the market. 1 owner with meticulous service history. Powered by twin Yamaha Fourstroke 350 Horsepower engines with 528 hours. Flywheels have been updated and boat is ready to go. Electronics package includes dual Garmin 7212 GPS/Chartplotter/fishfinders, Garmin autopilot, Garmin radar, Garmin VHF radio, spotlight, and stereo. Options include Yamaha YCOP security system, bow thruster, custom aft shade, full sun platform in bow area, porcelain head w/macerator, dual livewells, and much more. Owners new boat will be here soon so bring offers. Asking $209,995. Please call or ask for listing broker with any questions or to set up a viewing. Brokers information listed below. 2010 Grady-White 336 Canyon Runner PRICED TO SELL. 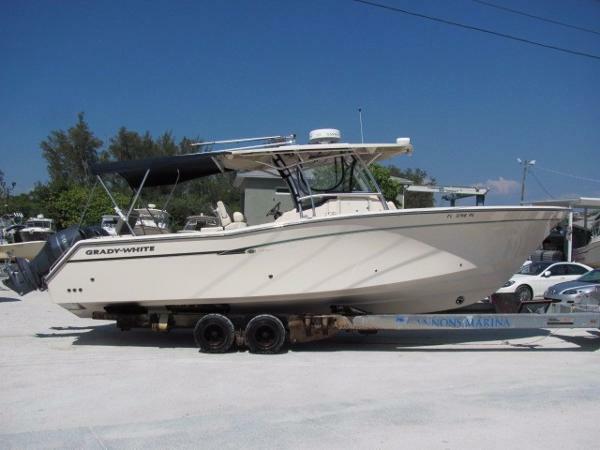 This 2010 Grady White Canyon 336 is in impeccable shape and been stored indoors most of its life. 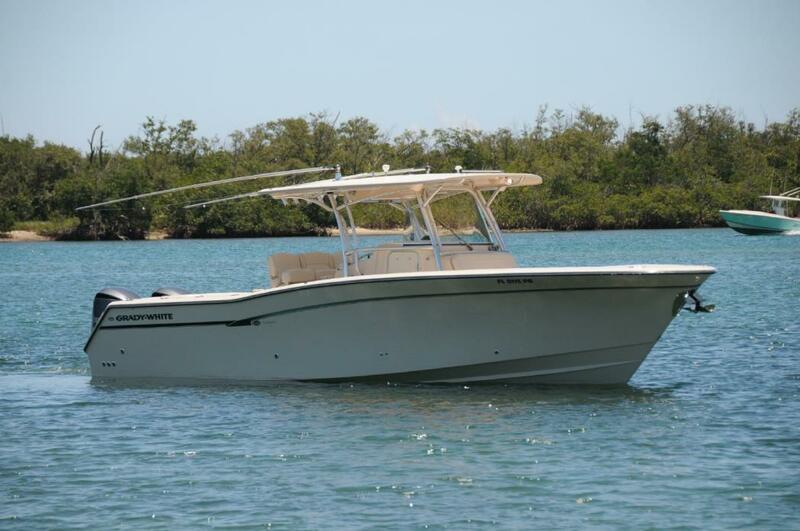 Her Twin 350 Yamaha's have low hours (410) and have always been maintained with a open checkbook. The extra large hardtop will keep you out of the sun as much as possible and the recessed speakers will keep your entertainment going.She also has a Bow-thruster and accommodations inside the console to get out of the sun or weather. Twin Raymarine E-125 Hybrid touch screen GPS combined with the autopilot gives you the confidence to travel comfortably. All new upholstery as well as underwater camera and underwater lights. Air conditioning for Cabin and upgraded stereo with IPOD controls. 2009 Grady-White 336 Canyon Runner 2009 Canyon 336 with all options. 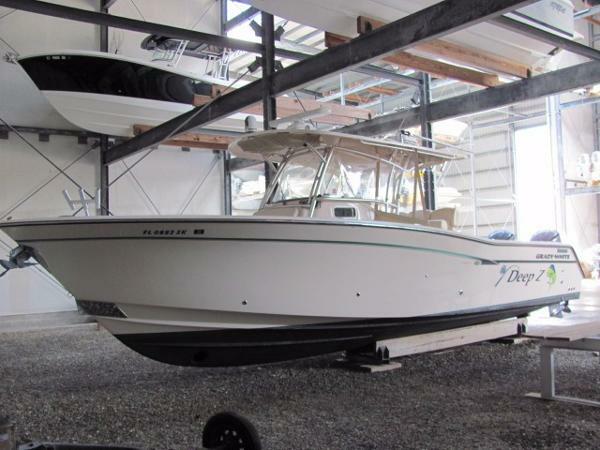 Includes Furuno Electronics package, genset, a/c, aft fish box freezer coils, bow thruster. 2012 Yamaha F350 V8 with 400 hours still under warranty until end 2017. Great condition used as family boat. Motivated seller, new larger boat on order! Additional questions please call 305-904-7392. 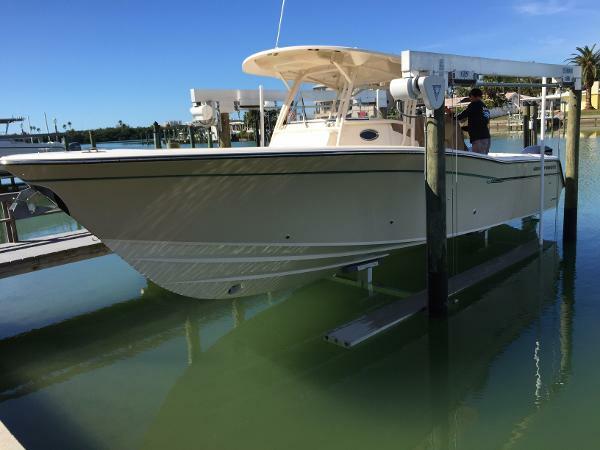 2014 Grady White 336 Canyon center console Loaded 2014 Grady White 336 Canyon Center Console Fisherman. Powered with twin Yamaha Fourstroke 350 horsepower engines with 389 hours and transferable warranty until 1/20/2020. 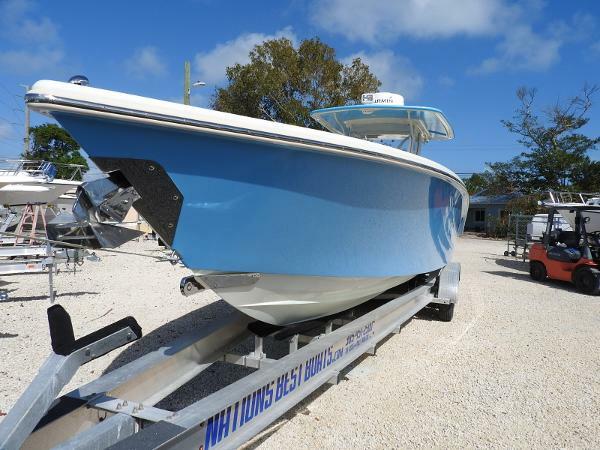 This fishing machine is ready for blue water with its patented deep SeaV2 hull design. The wide 11'7" beam makes it super stable and feel like a larger boat. The air conditioned cabin makes it comfortable year round and capable of spending some nights on board. This Grady White is absolutely loaded with options. Premium Raymarine electronics package Includes: FLIR night vision camera, auto pilot, dual 16 inch gS series Chartplotters, CHIRP fishfinder/sounder system, open array radar, dual VHF radio, and rear action camera.Other notable options include bow thruster, diesel generator, air conditioning in cabin and helm, refrigerated fish box, life raft, EPIRB, anchor windlass, and more. High and dry stored boat does not come with a trailer. Please call or email listing broker with any questions or to set up a viewing. Asking $229,995. 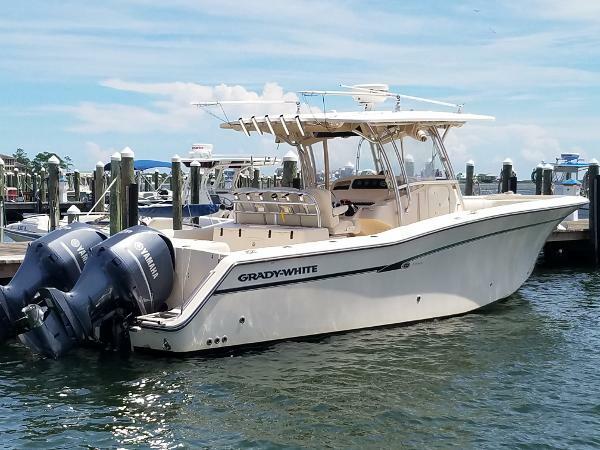 2014 Grady-White 336 Canyon, Absolutely beautiful Grady White 336 Canyon powered with Twin Yamaha V8 F350s with Yamaha Helm Master joystick steering. 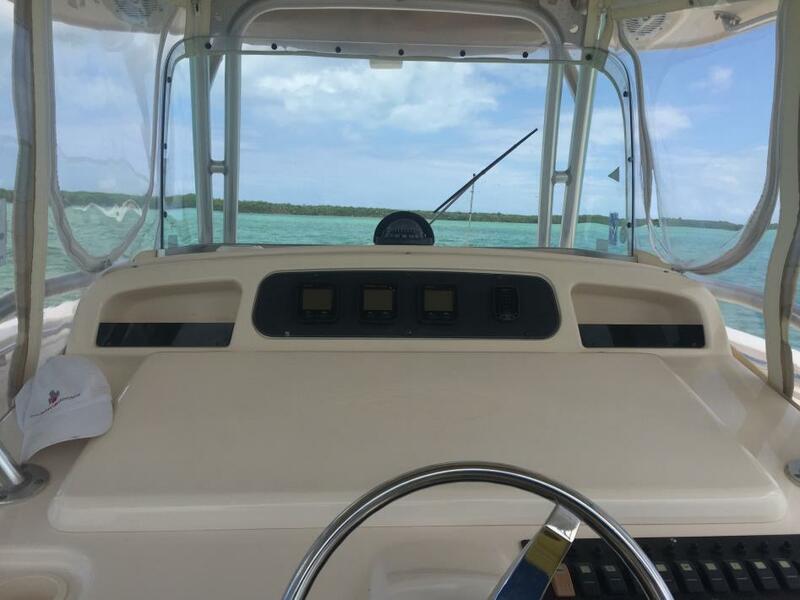 This boat is loaded to the hilt with Dual Raymarine hybrid units including HD color open array radar, diesel genset w/ AC at helm and below, shore power, retractable electric sunshade, outriggers, 290 qt. transom fishbox, twin 165 qt. forward boxes, windlass w/ dedicated anchor locker, deluxe helm seating for 3, bow seating, fold away aft bench seat, lockable console w/ stand up head area w/ sink, shower, berth and rod/tackle storage, reinforced cockpit sole for optional fighting chair. 1.6 hours since flywheel updates. Trailer pictured is not included. 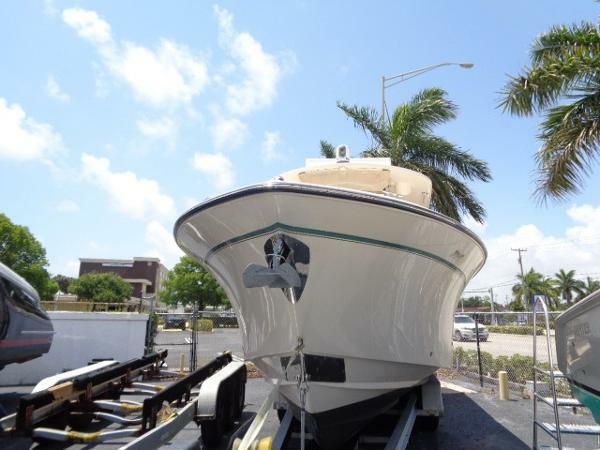 This boat has been dry stored and professionally maintained by a captain since new. 2009 Grady-White 336 Canyon A MUST SEE!!! 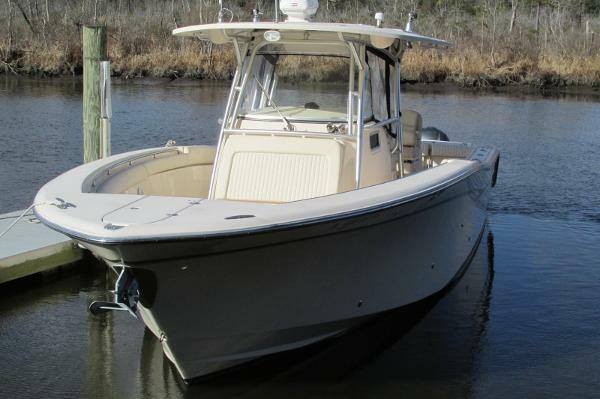 This GRADY-WHITE 336 Canyon is in excellent condition and ready to fish or just play. Amenities include forward seating w/cupholders, full head w/shower and twin birth under the console. Tons of Storage, Three fishbox, 45 gallon livewell and more. Comes with twin Yamaha 350 four strokes at 1067hrs. Maintained regularly by licensed a Yamaha Tech. 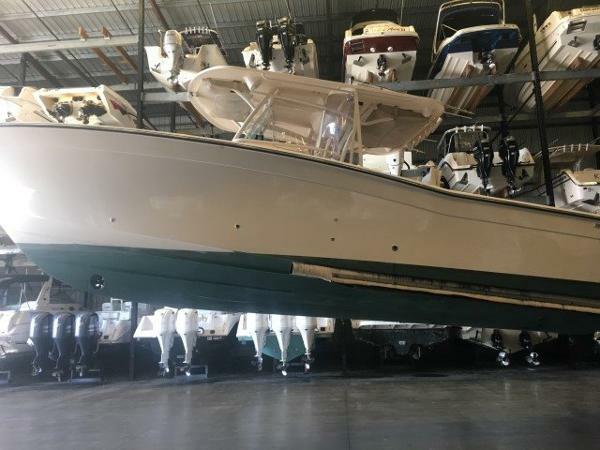 2016 Grady-White 336 Canyon Low oil prices make this "like new" vessel available for IMMEDIATE SALE! Better come get this jewel before it's too late!Twin 350 Yamahas with 41 hours. Many years of warranty left. 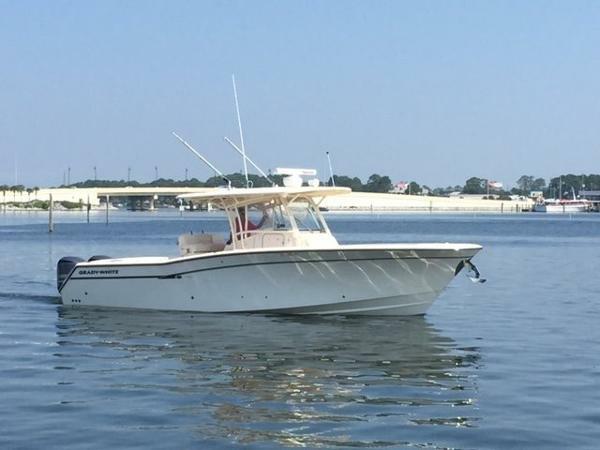 2014 Grady-White 336 Canyon Grady-White Canyon 336, 2014 model, 101 hours on Yamaha 350 hp 4-stroke engines, beautiful "like new" condition, this boat has been Captain maintained since new. Wide beamed vessel with a host of fishing options including Outriggers,Deep drop plugs,refrigerated fishbox in transom, rod holders and rod storage, dive ladder, (2) livewells, transom door, Double berth inside cabin under console, Vaccu-flush toilet,air conditioner and generator, Flir cameras,fore and aft, Bow Thruster,Liferaft-- a real turnkey late model center console ready for anything, fish, dive or cruise-- See her at KMC Marine in Lighthouse Point, Fl.33064-- Price reduction-$10,000--now asking $259,000. Will not last!